Volcanic ash blankets towns in Java Jump to media player At least three people have died and more than 200,000 people told to leave, following two volcanic eruptions at Mount Kelud on the Indonesian island of Java. 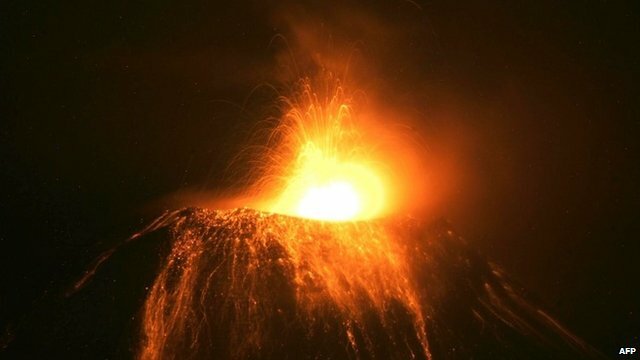 Volcano explosion in Ecuador Jump to media player Ecuador's Tungurahua volcano erupted three times over the weekend, sending huge clouds of ash and smoke into the sky, authorities said. 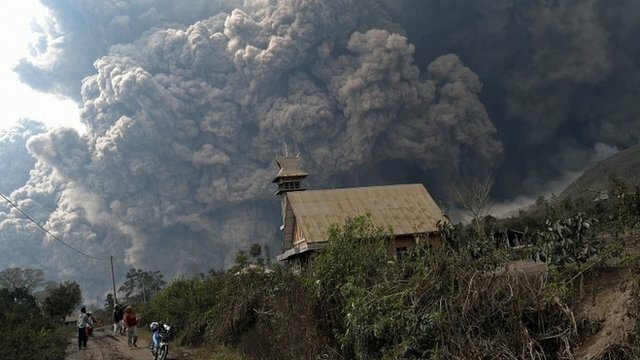 Sumatra volcanic ash hampers rescue Jump to media player At least 16 people have been killed after a volcano erupted on the Indonesian island of Sumatra. Footage shows deadly volcano damage Jump to media player A volcano erupts on the Indonesian island of Sumatra, engulfing villages in hot ash and killing 14 people. 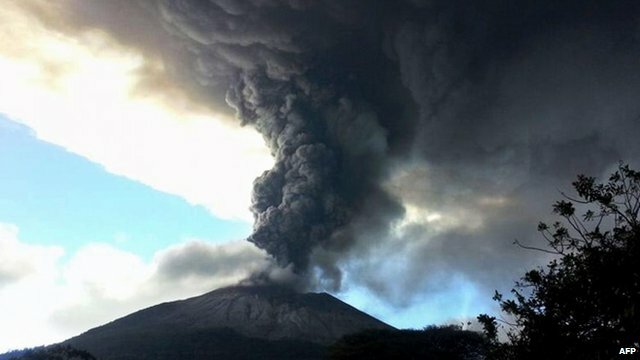 El Salvador volcano erupts spewing ash Jump to media player Thousands of people in eastern El Salvador are leaving their homes after a volcano erupted on Sunday morning. 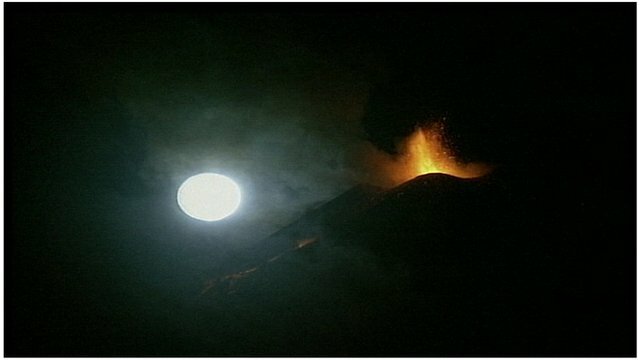 Spectacular view of volcano eruption Jump to media player An ash cloud from Mount Etna's latest eruption has forced the closure of Catania airport in eastern Sicily. 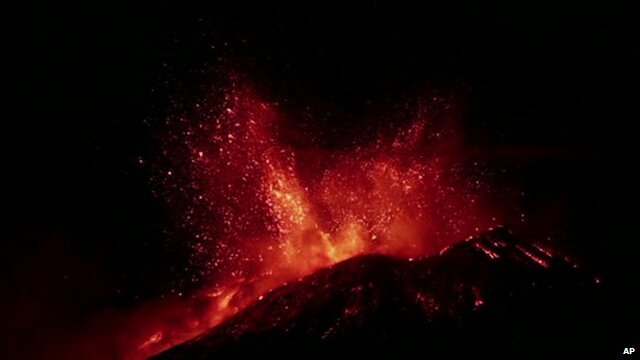 Further eruptions from Mount Etna Jump to media player Mount Etna erupts again causing a number of flights to nearby Catania airport to be diverted. 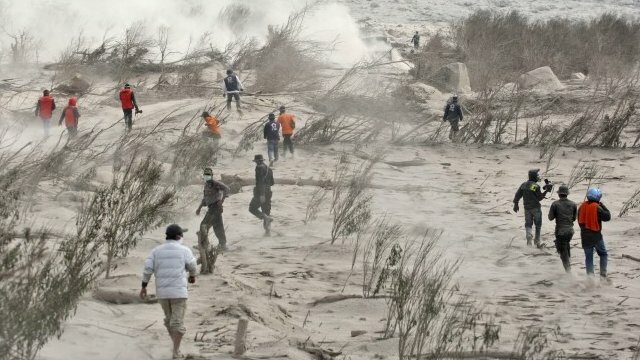 Three people have died and tens of thousands have been evacuated from their homes on the main island of Java after Mount Kelud erupted. Towns and villages across a wide area of eastern Java have been blanketed with up to 5cm of ash. Three main airports in Surabaya, Solo and Jogyakarta have been closed because of lack of visibility and fears about damage to aircraft engines. Alice Budisatrijo reports from Jakarta.